The Schlagwerk Floor Percussion Set is a unique cajon add-on. The set is an exciting combination of the Sidekick, Krix and Sizzle Board. The Floor Percussion set adds interest to any cajon by enabling you to create a diverse range of sounds from each individual component. You can use each of the components separately, giving you even more ways to use this product. Each of the products combined in the Floor Percussion Set are connected with handy Velcro fastening. It couldn't be simpler to maximise the effects of your cajon. The Schlagwerk Floor Percussion Set uses the Sidekick, Krix and Sizzle Board to great effect. From the Sidekick you gain an assertive clicking sound comparable to the sound of castanets or claves. 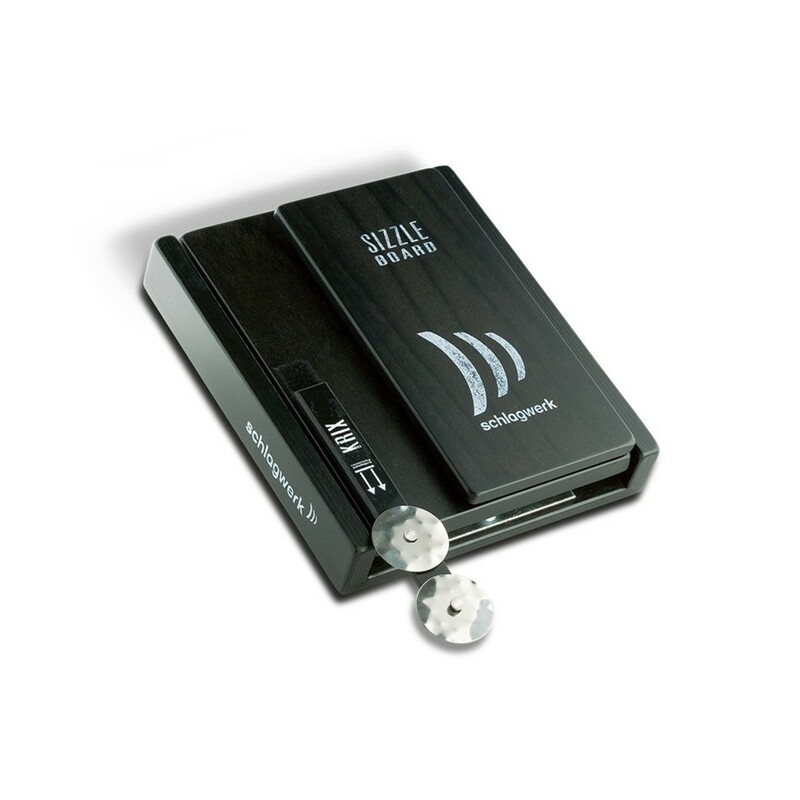 The Sizzle Board is capable of short, sharp sounds through to more projected, bold sounds. The diversity and flexibility of the cajon can be expanded even further with a variety of add-ons. The aim is to achieve completely new sound possibilities and an individualisation of the overall Cajon sound. All of these accessories feature the same design quality and robust Schlagwerk build.